Plan a Crystal river cruise on the Danube River next summer and take in the highly anticipated Oberammergau 2020 Passion Play! The Passion Play is the travel event of the decade. Crystal’s 11-day/10-night historic Passion Play Package includes 5-star accommodations in Munich and Oberammergau, 7-night luxury river cruise, Passion Play ticket, Munich and Oberammergau city tours, and more. The Oberammergau Passion Play is available on select Danube and Rhine river cruises. From Melk’s Benedictine Abbey and Regensburg’s UNESCO treasures to Vienna’s famed Ringstrasse and Budapest’s stunning Parliament Building, discover picturesque Durnstein and the pastoral Wachau Valley on your 7-night cruise. 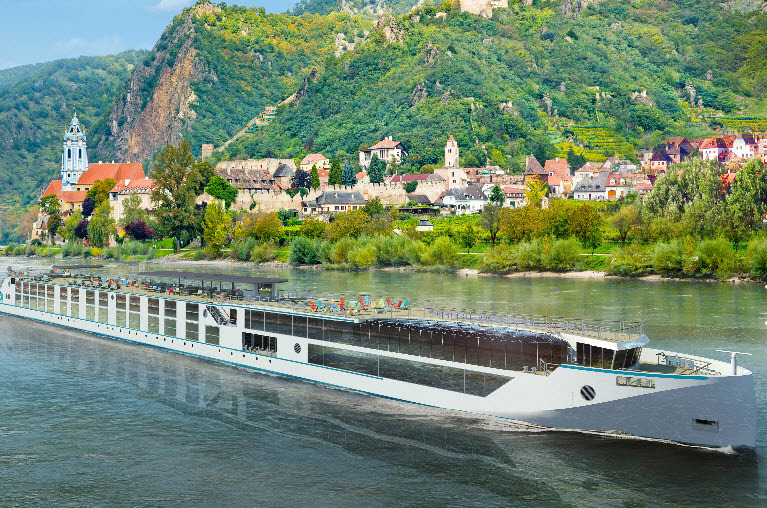 Crystal River Cruises are all-inclusive luxury ships featuring the Panoramic Balcony Window. Space is extremely limited on this sailing featuring the Passion Play, so please call our experts today! Book Now to Lock In Best Rates! The Crystal River experience showcases the wonder of each destination with cultured insight. Enjoy immersive exploration ashore aligned with enriching pursuits on board, inviting you to come and go from your ship at your leisure. Crystal All-Inclusive River Cruises include: An exceptional standard of all-inclusive amenities and services elevates the comfortable luxury aboard each ship, from spirits and wines and all gratuities aboard and ashore to complimentary Wi-Fi, eBikes, shore experiences, airport transfers and more. All transfers between airport, Munich, Oberammergau and your Crystal river ship. Prices are per person based on double occupancy, availability and subject to change without notice. Port taxes are additional at approximately $175 per person. In order to include the Oberammergau package you must be booked in a cabin category S1, CP or CS; these categories are very limited.